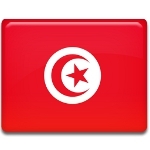 Tunisia became a French protectorate in 1881 and gained its independence only in 1956. The French troops were withdrawn from the territory of Tunisia, but the city of Bezerte had a strategic location on the Mediterranean Sea and France deployed its troops there. In 1961 Tunisian forces blockaded the city and demanded the withdrawal of French troops, but France brought reinforcement and started military actions against Tunisia. France took Bizerte and the town of Menzel Bourguiba. French military actions were condemned by international organizations and France was pressed by the UN security council to abandon Bizerte. The last French troops were withdrawn from the city on October 15, 1963 and the anniversary of this event is now known in Tunisia as Evacuation Day. Main festive events are held in Bizerte. President of Tunisia attends an official ceremony. Since 2011 celebration of Evacuation Day is organized in every city of Tunisia.